The leaked screens show various parts of the app, such as the For You screen and Beats One. 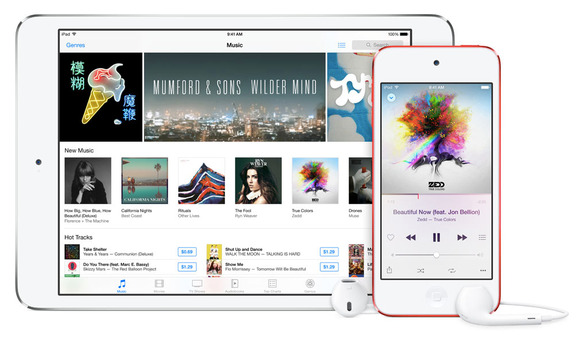 Apple Music is off to a good start, with 15 million subscribers according to Tim Cook. With an Android version expected to arrive soon, some details are starting to seep out. The German-language tech site MobileGeeks (via SlashGear) published screenshots that show what appears to be a version of Apple Music for Android devices. The screens show various sections of the app, such as the New and For You screens, as well as Beats One streaming radio. The app by and large looks like the iOS version, but it integrates some Android design conventions, such as the Hamburger menu in the upper right corner. 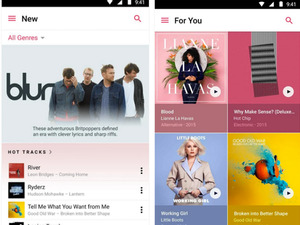 One of the purported screenshots of Apple Music for Android. Apple previously announced that Apple Music would arrive for Android "this fall." MobileGeeks has a decent track record when it comes to Android rumors, and this wouldn’t be the first hint that an Android version of Apple Music is near. Last month, TechAeris reported that some users received invitations to join a limited beta of an Apple Music app for Android. We’re not entirely sure of TechAeris’s rumor-mill track record and there are reasons to question the notion that Apple would perform a beta test in this way, but it doesn’t seem beyond the realm of possibility. Update, October 25, 2015, 5:35PM PDT: As originally posted, this story erroneously implied that Apple had not yet announced Apple Music for Android. This is not the case: Apple previously announced an Android version would debut this fall. This story has been corrected to reflect this fact. We apologize for the confusion and regret the error.